BMW 4 Series Gran Coupe Interior, Sat Nav, Dashboard | What Car? You sit nice and low in the 4 Series Gran Coupé – lower than in the A5 Sportback – for a sportier feel that helps you feel better connected to the road. It’s fairly easy to get the seat in a comfortable position, although the manual height adjustment is a bit fiddly (not a problem on versions fitted with electric front seats) and lumbar support isn't standard. Also, the pedals are slightly offset to the right. The driving position is otherwise very good, with clear instruments and controls that are well laid out. 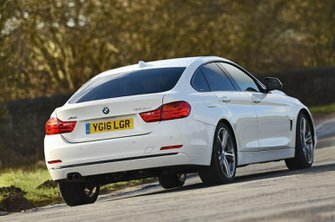 Visibility is better than in the 4 Series Coupé but worse than in the 3 Series saloon, due to the Gran Coupé's thicker rear pillars. You do at least get parking sensors as standard to help when reversing. Quality is good for the most part, with switches that work smoothly and soft-touch plastics in the places you interact with regularly. That said, cheaper materials aren’t too hard to find. 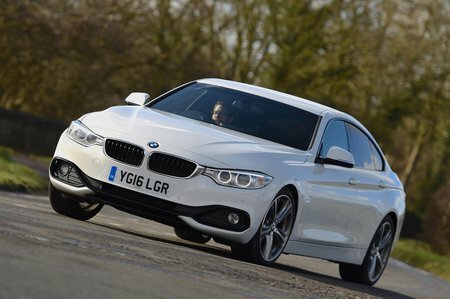 In this respect, the 4 Series Gran Coupé is starting to feel a little dated compared with the A5 Sportback. All variants get sat-nav, a DAB radio, a USB port and Bluetooth. 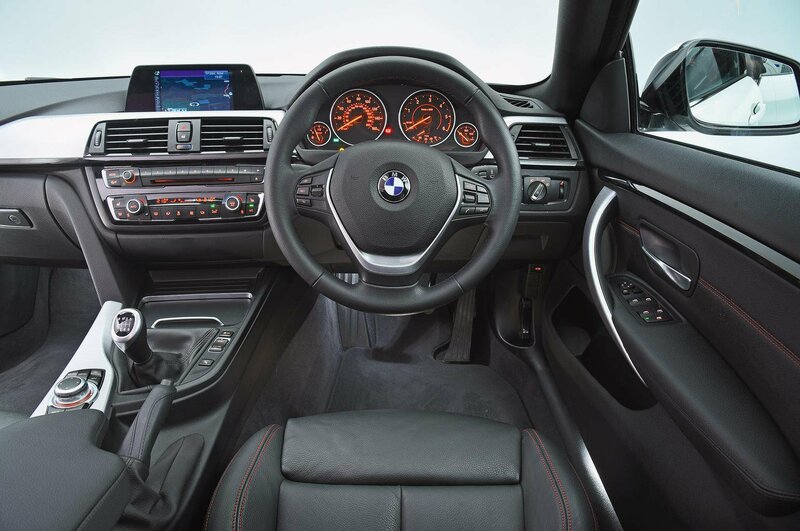 Infotainment is taken care of by BMW’s brilliantly intuitive iDrive system, which uses a rotary dial between the seats to access its many features. You get a 6.5in colour screen in the entry-level models, and it’s mounted high up on the dashboard to be easy to look at. A bigger screen, better online connectivity and an improved sat-nav are optional on lower trims and standard on pricier models.